From juggling countless contractors to monitoring expenses and budgets, project management professionals play a critical role in the success of projects small to large. Requiring a combination of skills and expertise, a good project manager has a thorough understanding of your project at every stage of completion. From the initial planning and design stage through to the final execution and close of works, a project manager maintains overall responsibility for the successful completion of a project. Without proper preparations, planning and time management, projects can quickly fall behind schedule. From missed deadlines to poor communication, the proper management of time is essential to reach milestones and keep your project on track for on time delivery. An experienced project manager helps to keep a project running smoothly for successful and timely completion. Specialising in managing every aspect of your project, including liaison with external contractors and stakeholders as required, your project manager ensures that all team members and contractors work in harmony towards a common goal. 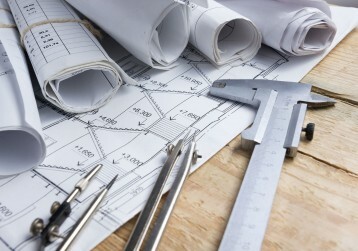 Regardless of a project’s size or scope, all works are confined to budgets and costs. If a project begins to exceed predictions or stray into unfeasible territory, works sometimes need to cease and the project may need to be dramatically altered or even abandoned. In order to avoid going over budget, a project manager works to regularly assess costs and expenses. Utilising problem-solving skills, networking and critical thinking, project managers navigate unexpected expenses and costs to minimise negative impacts. Responsible for overseeing the completion of every stage of a project, a project manager is able to ensure that quality is maintained across the board. From monitoring workmanship and construction through to assessing the quality of materials and completing testing, good project management keeps contractors and teams accountable for the quality of their work. By maintaining quality across projects, project managers help to ensure that the completed result provides full function and versatility to suit a wide range of purposes now and into the future. Serling Consulting undertakes project management as part of the role of the lead consultant coordinating the multi-disciplined consulting team, and being the link with the client to deliver a wide range of infrastructure and land development projects. Using in-house project management systems our team of project professionals in Perth deliver projects on time and in budget. Our people bring a broad range of practical skills and experiences to project management, allowing us to think outside the box and provide innovative solutions. At Serling Consulting, we specialise in delivering projects within metro and regional land development, local government and civil engineering. With a wide and well-developed skill set, we achieve strong results in projects that make an impact. Find out more about our range of project management and civil engineering expertise in Perth. Contact us today on (08) 6500 8888.